Find out how our new teaching building’s design incorporates our veterinary research. Study veterinary, agriculture or food sciences at the University of Melbourne and join a faculty committed to life-long learning and the application of science to local, national and global issues. We have study options for everyone, including diplomas, research degrees and professional development programs. Pursue your passion in agriculture, veterinary and food sciences at Australia’s number one university. Gain knowledge across a broad range of disciplines. 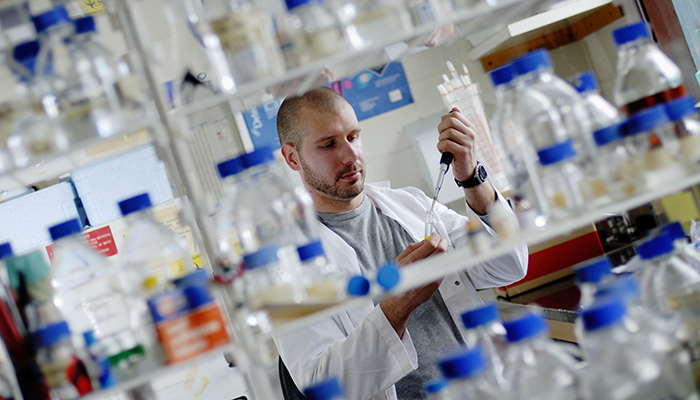 Work alongside our academic experts and pursue your interests with a Graduate Research Degree. Access life-long learning and professional development opportunities. The Faculty of Veterinary and Agricultural Sciences has a range of scholarships and bursaries to assist with study and living expenses. Get to know your faculty and access information relating to your degree. Dr Babatunde Ayodele is part of a team researching the bones of racehorses. Now, his research has inspired the façade of a new University of Melbourne building. 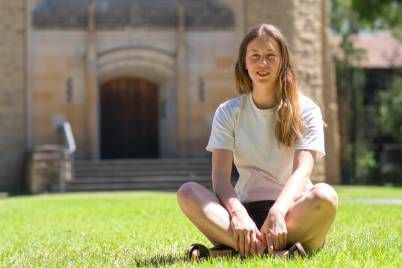 An inaugural science day was recently held for all postgraduate and doctoral scholars at the University of Melbourne’s agricultural campus. Xia (Emma) Liang has received a prestigious 2018 Chinese Government Award for Outstanding Self-financed Students Abroad from the China Scholarship Council. 44 Year 11 and 12 students explored how science is applied to benefit agriculture, veterinary medicine and land management at the University of Melbourne’s Dookie campus on Tuesday 26 February. From Monday 11 March – Friday 15 March, four academics from the University of Manchester will be visiting the Faculty of Veterinary and Agricultural Sciences (FVAS) and the Melbourne School of Engineering (MSE). Doctor of Veterinary Medicine students from the University of Melbourne hosted delegates from around Australia and overseas at the 58th Australasian Veterinary Student Conference (AVSC). Microbiologist Anne Watt has received the Australian Pork Ltd Award at the 2019 Science and Innovation Awards for Young People in Agriculture, Fisheries and Forestry. Professor Duncan Maskell says the agricultural teaching and research campus provides fantastic opportunities for students interested in the industry. The University of Melbourne, Australasian Pork Research Institute Limited (APRIL), SunPork Solutions and Rivalea Australia have successfully secured an Australian Research Council (ARC) Linkage grant to support a million dollar research project to improve pig welfare by modulating stress resilience. Professor Anna Meredith, Head of Melbourne Veterinary School, has been appointed an Officer of the Order of the British Empire (OBE) in the Queen’s New Year 2019 Honours List for services to Animal Welfare. This year was a big year for research - we asked University of Melbourne experts to review some of the amazing research, discoveries and big thinking of 2018. Precision agriculture is harnessing the power of new technology and ‘big data’ to improve production. Four staff in the Faculty of Veterinary and Agricultural Sciences have been promoted to Professor in 2018 in recognition of their contributions to veterinary public health, cattle medicine, gastroenterology and agricultural extension and engagement. On 12-16 November 2018, researchers in the Faculty of Veterinary and Agricultural Sciences came together at the University of Melbourne’s Parkville campus to celebrate research impact and share lessons on collaborating within and across disciplines at Research Week 2018. Australian Indigenous people, like so many peoples around the world, enjoy the companionship and other benefits of dog ownership. Many people in remote Indigenous communities are dog owners, and say their dogs are valuable for hunting, that they keep their home safe at night from intruders and that they are playmates for their children. On Thursday 18 October, the work of our third year Bachelor of Agriculture students was on display at their Capstone Project Showcase. University of Melbourne experts discuss the impact of selective breeding, designer dogs and clones on the health and wellbeing of man’s best friend. The University of Melbourne’s More Profit from Nitrogen (MFfN) dairy team have successfully secured a prestigious Marie Sklodowska Curie Global Fellowship under the EU’s Horizon 2020 Programme. Australia's strawberry needle scare is a case of risk perceptions running ahead of the actual risk, explains a University of Melbourne researcher. Each year, the University of Melbourne hosts a range of wellbeing events across its campuses to mark R U OK? Day.R U OK? Day is Australia’s national day of action to remind everyone that any day is the day to ask: ‘Are you OK?’ and be mindful of the physical and mental health of others.In 2018, this awareness-raising day celebrated its milestone tenth anniversary of promoting healthy conversations. The Faculty has awarded over $600,000 worth of scholarships to coursework and graduate research students this year. Seven projects proposed by staff at the Faculty of Veterinary and Agricultural Sciences were funded for almost $160,000 in the 2018 Learning and Teaching Initiatives (LTI) grants round at the University of Melbourne. A single gram of soil contains seven billion microorganisms, as many as there are people on Earth – the soil under our feet is a complex world unto itself with wide-ranging implications for our lives, and especially for how we grow our food. The University of Melbourne is co-hosting this year's Domestic Violence and Animal Abuse conference, on the link between pet abuse and family violence. On a crisp Sunday morning in July, Melbourne Veterinary School staff members led a group of eager students on an outing to the Werribee Open Range Zoo. Do you know of a dog with a spinal cord injury that has resulted in severe neurological issues like loss of hindlimb mobility or paraplegia, loss of feeling or bowel and bladder dysfunction? We are exploring a new treatment for dogs based on the latest human medicine research, and you may be able to help. On Thursday 2 August 2018, Professor Norman Williamson delivered the 2018 DC Blood Oration, part of the Faculty's Dean's Lecture Series. Professor Glenn Browning has received one of the University of Melbourne’s highest recognitions of academic excellence, the title of Redmond Barry Distinguished Professor. A substantial number of Melbourne Veterinary School staff sat membership examinations, delivered presentations or otherwise contributed to Science Week, the Australian and New Zealand College of Veterinary Scientists' (ANZCVS) annual education conference. Ongoing uncertainty around the long term future of Melbourne’s surrounding agricultural land limits investment in Melbourne’s foodbowl and fuels speculative investment in farmland, driving up land prices and undermining farm viability, a new report has found. The Faculty of Veterinary and Agricultural Sciences has appointed Professor Timothy Reeves as its first Professor in Residence at the Dookie agricultural campus in the Goulburn Valley. The next Head of the Department of Veterinary Clinical Sciences at the Melbourne Veterinary School will be equine infectious disease expert Professor Josh Slater. A new measurement from University of Melbourne researchers could more accurately identify places at risk of damaging levels of nitrogen pollution. Vets at the University of Melbourne’s U-Vet Hospital in Werribee say an emergency dog-to-cat blood transfusion highlights the need to have cat blood on hand for cats like Rex, who would have died waiting an hour for the next available feline donor. Equine veterinarian Dr Angus McKinnon has received a Medal of the Order of Australia (OAM) for services to veterinary science, particularly equine reproduction. Professors Glenn Browning and Amir Noormohammadi conducted veterinary student seminars, workshops and round-table meetings in Indonesia with researchers and their poultry industry partners as part of an ongoing project led by Dr Nadeeka Wawegama. Leading plant scientist Professor Herbert Kronzucker has joined the Faculty of Veterinary and Agricultural Sciences as Head of the School of Agriculture and Food. The University of Melbourne’s U-Vet Animal Hospital in Werribee has launched a life-saving new feline blood bank. 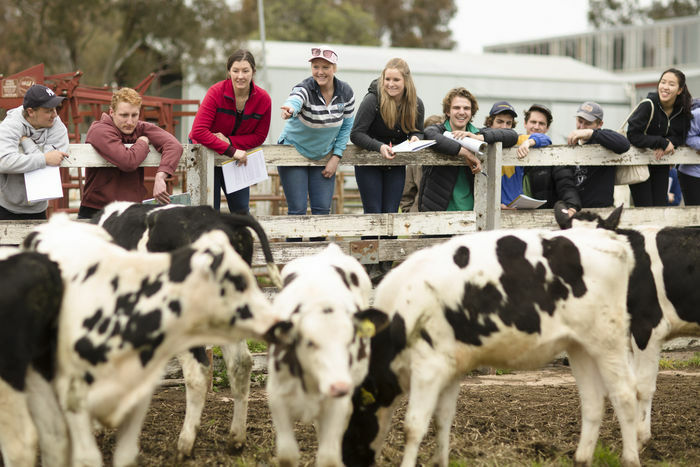 The Faculty of Veterinary and Agricultural Sciences hosted 190 secondary school students from northern Victoria at its Dookie campus on Friday 25 May, giving them the opportunity to explore careers in agriculture and its support industries. Look out for the apple truck near Union House, Parkville Campus on Thursday 24 May, 10am-4pm (unless sold out). 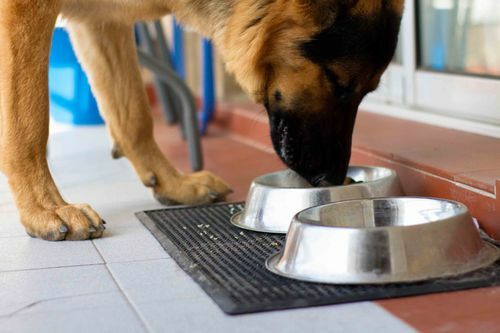 Diet has a significant impact on pet health, just as it does in humans. Listen: What are some of the big changes and challenges agriculture is facing in the 21st century? On Thursday 26 April, Professor Mark Howden delivered a public lecture to a full auditorium on how agriculture is changing in the 21st century, and what changes are still needed to limit and adapt to climate change. The University of Melbourne’s Faculty of Veterinary and Agricultural Sciences has sponsored two murals in Goorambat, a town between Dookie and Benalla in the Goulburn Valley, as part of an art project celebrating the local environment and heritage. Professor Eleanor Mackie has been selected as Chair of the Biological and Biotechnological Sciences Research Evaluation Committee by the Australian Research Council (ARC). A new program designed to improve animal welfare standards on Australian farms is being launched tomorrow at the Australian Cattle Veterinarians conference in Fremantle, Western Australia. For the first time, Australian frog cells have been successfully frozen and re-grown in culture, offering hope of a new technique to safeguard endangered amphibians. Melbourne Veterinary School researcher and tutor Christina Marth received the Dairy Australia Award at the ABARES Outlook 2018 conference for research to help producers identify cows that may have difficulty falling pregnant. With an employment rate near 90 per cent for graduates, there’s a career for everyone in agriculture. Professor Anna Meredith will assume the role of Head of the Melbourne Veterinary School in July 2018. A new research project aims to reduce food waste while decreasing the economic and environmental cost of lamb and sheep meat production. Whether you are a student, farmer, corporate person, or policy maker, you are most likely aware that the Earth is changing, and not always for the better. Take the rise of the Earth’s global surface temperature since 1880 through today as an example. Our Earth is “redder” and “most of the warming has occurred in the past 35 years”. Tony O'Donnell explained the unusual character of Western Australia's Yilgarn Craton – one of the world’s oldest land masses and the site of the state's wheat belt – and its effects on the soil microbiology in the 2017 Professor G.W. Leeper Memorial Lecture. Listen to the lecture below. Three staff of the Faculty of Veterinary and Agricultural Sciences at the University of Melbourne have been promoted to full professor. Panel recording: Can food labelling help create more sustainable food systems? On 27 September 2017, a dynamic panel of experts explored whether food labelling could help create more sustainable food systems through case studies of food labelling for sustainably sourced fish, free range animal products and products containing palm oil. Alumnus Adrian Utter finds treasure underground. Over 70 people attended a seminar day on investment in agriculture hosted by the Mackinnon Project at the University of Melbourne’s Werribee campus on 28 September. In this DC Blood Oration, Professor Michael Lairmore, the Dean of the School of Veterinary Medicine at University of California - Davis, examines how an emerging approach termed One Health is uniting veterinarians, physicians, scientists, and other health and environmental professionals to address complex problems that recognise the vast interrelationships between human, animal and environmental health. The Faculty of Veterinary and Agricultural Sciences hosted key agricultural stakeholders on Tuesday 22 August to provide an update on the new Bachelor of Agriculture and seek support for further industry engagement in the curriculum. Staff in the Faculty of Veterinary and Agricultural Sciences were successful in four Learning and Teaching Initiative (LTI) grant applications in the 2017 round. Professor Robin Gasser has been awarded the title of Redmond Barry Distinguished Professor for his outstanding contribution to research at the University of Melbourne. They are the figures behind the Faculty’s important research work. Marshall Lightowlers, Robin Gasser and Rebecca Traub and their teams have worked for years to develop effective treatments and strategies to control parasites. Each of them has a distinctive story. A new research centre led by University of Melbourne scientists aims to solve the challenges pollution and soil degradation poses to food production around the world. A new agreement will enable research which supports the discovery of treatments and diagnostics for pathogens and disease. Dr Julie Barnes always liked working with Australian animals, but these days, she's concentrating on conserving endangered North American species. Two breadth subjects at the University cover a fair bit of beer-making and drinking territory, with help from alumni Paul and Natasha Holgate. We are a research-intensive faculty dedicated to the advancement of societal, animal and environmental wellbeing through cross-disciplinary and collaborative research spanning agricultural, food, veterinary and biomedical sciences. Discover our wide-range of research disciplines and specialisations across the agricultural, food, veterinary and bio sciences. Our researchers collaborate and work cross-institutionally and with industry at the local, national and global level. We are committed to the continuous improvement of the student learning experience, and the professionalism and effectiveness of our teaching activities. Ready to take the next step? Learn how you can contribute to the future of agriculture, food and animal and veterinary sciences, as well as agricultural innovation, bioscience and zoonoses. From bone re-modelling, to rural R and D to the development of vaccines in the fight against parasites, learn about some of the different projects we are working on the faculty. Remain involved with a talented alumni community of over 11,000 professionals that are making valuable contributions to animal and human health, food security and socio-economic prosperity around the world. Discover the latest news, events and public lecture information from the Faculty. Reconnect with former classmates and celebrate your shared experiences. Take advantage of a wide range of exclusive alumni benefits and special offers. Moved house? Secured that exciting new job? Let us know! U-Vet Werribee Animal Hospital - University of Melbourne is one of Australia’s leading veterinary hospital facilities, based in Werribee. We provide veterinary care to the community via our general practice (primary and preventative care), a suite of specialist referral services, 24 hour emergency and critical care services, and specialist referral equine services. Our team of caring and highly-qualified veterinary staff treat over 23,000 animals each year supported by dedicated veterinary nurses, specialist technicians and administrative staff. We employ over 40 registered veterinarians from interns to veterinary specialists. As well as our general practice, we provide access to specialist veterinary services in surgery, medicine, anaesthesia, medical imaging, emergency and critical care, neurology, clinical pathology, dermatology, cardiology and equine management. Our emergency and critical care department is open 24 hours a day, 365 days a year. It is supported by contemporary diagnostic capabilities and on-site pathology laboratories, which enable us to promptly diagnose and manage complex, involved and unusual cases. Importantly, we are also a teaching hospital. We are committed to educating the veterinarians of today and tomorrow and our clinical teaching program is conducted under the close supervision of the treating veterinarian. Our students are an important part of our practice and provide that extra attention and TLC that your pet will love when they visit our practice. We thank you for allowing us to involve veterinary students in the care of your pet. The Hospital plays a crucial role in the lives of the thousands of animals that we treat each year, as well as the thousands of animals treated elsewhere by talented veterinarians trained by us in the veterinary hospital. Our aim is to continue to provide education in veterinary science that is second to none, to conduct innovative and pertinent research into the diseases of animals and humans, and to exchange knowledge with society, including the veterinary profession, pet owners and the general public. To do this we need the best equipment, the most up-to-date facilities and the most experienced staff. This all costs money and so we have developed the Friends of the U-Vet Werribee Animal Hospital program to provide a way for interested people to support our work in a meaningful and practical way. Your generosity makes an enormous difference to the development of our students, providing them with opportunities to enrich and extend their learning. Gifts and donations to the Faculty make a real difference. Find out more about the impact of your support. Recognise the important contribution made by the two founding Deans of the modern veterinary school by supporting the Professor Blood and Professor Jubb Bronze Busts Project. Established to support our students at the Dookie campus – the largest agricultural education facility in the southern hemisphere. Donate to play a part in creating the U-Vet Werribee Animal Hospital Animal Integrative Pain Clinic – the first of its kind in Victoria. We are seeking your support to understand the potential association of food with megaesophagus, and to develop a range of analytics for diet-related studies. There are so many ways to support the work of the Faculty of Veterinary and Agricultural Sciences, including donations that support students and academics. Donations of $2 or more to the Faculty of Veterinary and Agricultural Sciences are tax deductible to Australian tax payers. 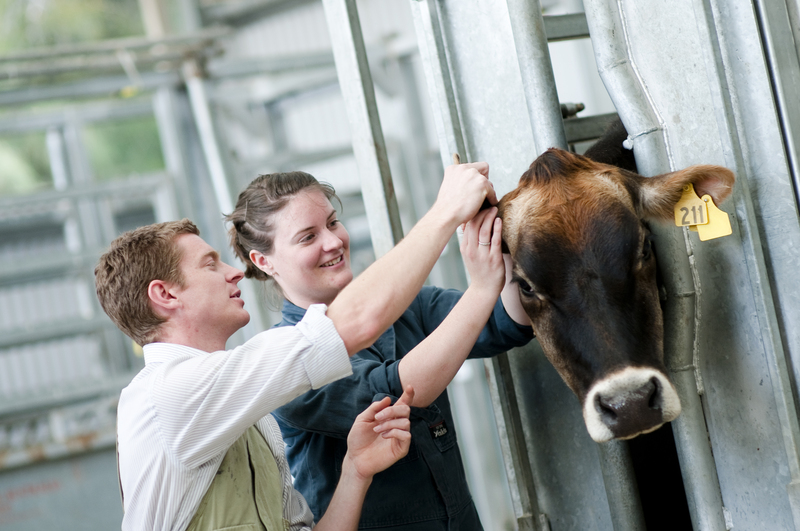 The Faculty of Veterinary and Agricultural Sciences has a strong international reputation for excellence in research and for its links with industry and stakeholders. Our research provides valuable input into solving global issues, such as food security for a rapidly growing population, animal health and well-being, and climate change. The Faculty teaches across three campuses: Dookie, Parkville and Werribee. The Dookie campus is a focal point for key research, teaching and technology development that is helping to shape the future of agriculture in Australia. The Dookie campus is situated on 2,240 hectares and consists of a high technology robotic dairy, broad-acre farming crops such as canola, wheat, clover, lucerne and phalaris, and 5000 merino sheep. The Faculty of Veterinary and Agricultural Sciences teaches formative and pre-clinical studies in agricultural and veterinary science at the Parkville campus, which is conveniently located only a few minutes from the centre of Melbourne. 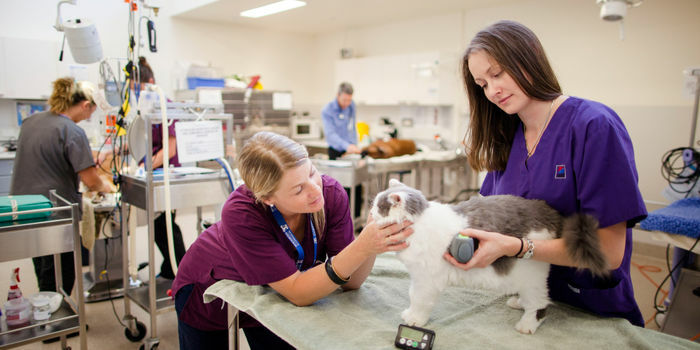 Students of the Doctor of Veterinary Medicine develop a rich clinical experience at the University of Melbourne Veterinary Hospital, including a final year of lecture free clinical training. Many staff members are experts in their field, including several Board-certified experts with extensive and significant international experience. The teaching facilities at the Veterinary Hospital are world class, including the most complete suite of diagnostic imaging equipment in the Asia-Pacific. The Faculty is accredited by the American Veterinary Medical Association (AVMA) and the Australasian Veterinary Boards Council (AVBC). Accreditation is also obtained via the Royal College of Veterinary Surgeons (RCVS).